Thank you to KPMG & XYZ (Allied London) for hosting our mentoring sessions in May. For the first time we held a double header in May for our start-up mentoring. 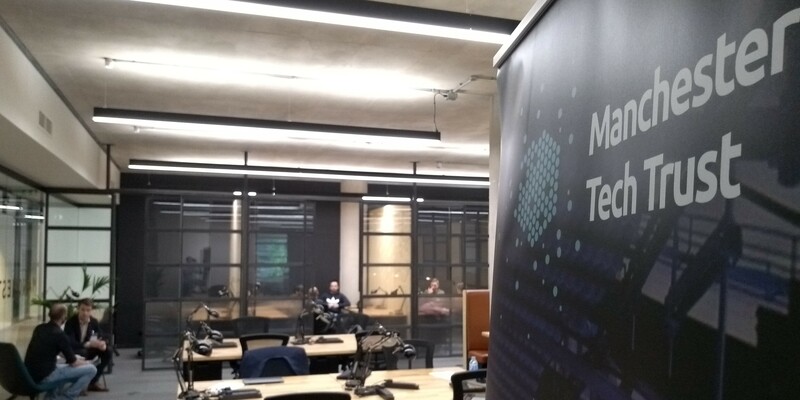 On the 10th may we held our first session at the XYZ building in Spinningfields, a place designed as a new fin-tech hub. As this was a new venue for us we limited the spaces to ensure a smooth event, we need not have bothered as the space available in The Vault was seemingly custome made for these types of event. On the 29th we were back into full swing @ KPMG, a tried and trusted approach which never disappoints – worth it for the view of St Peter’s square alone. For those who may have not attended one of our mentoring events it is perhaps worth explaining the purpose and format. As a small, privately held charity a key mission for MTT is to support the Tech sector in Greater Manchester in any way we can. Throughout our wider network we have picked up a network of mentors that we know will be a great sounding board for Manchester’s early stage start-up’s. Our mentors usually have grown and built (and likely exited) their own technology business’s; a very much been there and got the t-shirt approach. This is not to say they have all the answers’s as every start-ups path is somewhat unique, probably the greatest asset of disrupting the status quo! However we always recommend that early stage founders take on board as much advice as possible from those who have the battle scars of scaling a business, as it may well help you navigate some of the more predictable pot-holes such as early growth cash-flow, cap tables and your first approach to recruitment. The format of our events is pretty straight forward – we want to give you a decent period of time with one of our mentors. That is why all of our sessions last from around 45 mins to an hour. There is usually opportunity to meet more than one mentor too if the schedule allows it, we work hard at making as many introductions as possible. You never know which conversation will lead to something profound, and we can’t predict that either! We had a great line-up of mentors in May including; Beth Houghton – Partner, Palatine Impact (Palatine Capital), Katie Marrache – Partner, JamJar (Innocent Drinks VC Fund), Jaco Van Der Berg – Head of Data, The Hut Group, MTT’s own Neil McArthur – Director of Innovation, TalkTalk Group, Guy Weaver – Director, KPMG, Founder – Introstream, Mark Payne – International Investor & Entrepreneur, Matt Hunt – CEO, Apadmi Enterprise and James Mulvany founder or Rdio.co. If you are a early-stage start-up in Manchester and want to join one of our events later in the year, please get in touch with us here. We really look forward to hearing your story and connecting you with MTT’s wider network.